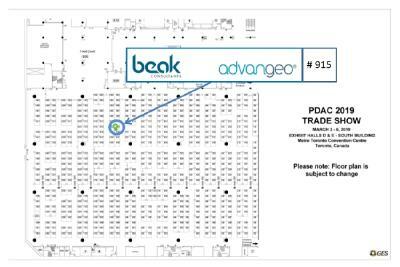 Beak Consultants GmbH is exhibiting at PDAC Convention in Toronto from 5th until 8th March 2017. We invite you to visit us at our booth #915. Please contact Dr. Donald Lush, Dr Thomas Hertwig or Andreas Knobloch for a personal meeting. 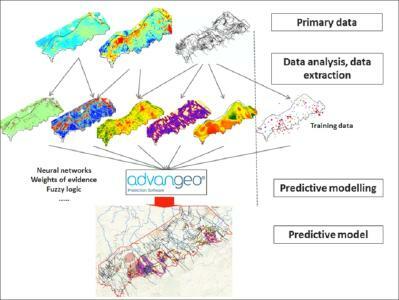 In 2017, Beak is presenting its software flagships: the artificial neural network based advangeo® Prediction Software, advangeo® Field Cap for geological mapping and geochemical exploration, and a variety of advangeo® Geodata Database management products, incl. the new data sales platform advangeo® eCommerce. 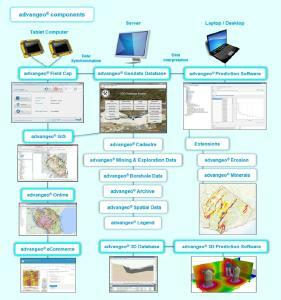 Our products handle and process any kind of structured and non-structured geo-scientific and geo-economic data. 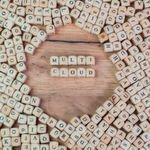 They are a perfect tool for large organizations such as Geological Surveys and Exploration Companies providing project independent features for long-term data storage. 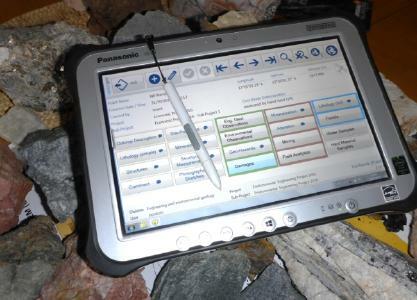 The advangeo® Field Cap software is the optimal solution for paperless capture of geological field data, sample management and analytics. The software supports individuals co-operating in bigger teams. Currently, the advangeo® Prediction Software incorporates artificial neural networks, fuzzy logic and weights of evidence as data processing algorithms. 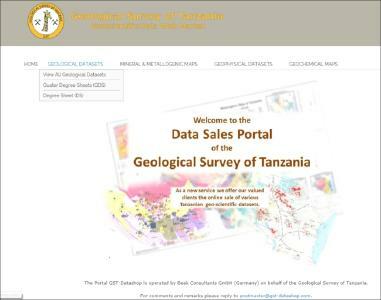 It analyzes big data for dependencies between various parameters for creation of mineral potential maps, geo-hazard maps or even draft geological maps. 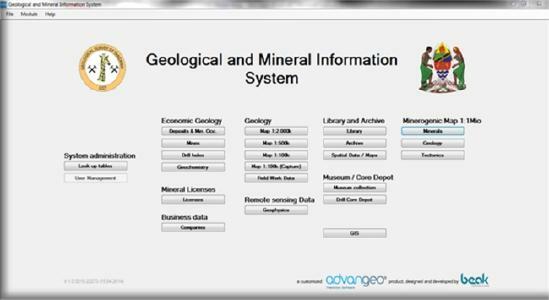 The advangeo® Geodata Database management products store and distribute any kind of structured and non-structured geo-scientific data, such as maps, geophysics, geochemistry, field data, documents, mineral occurrences, bore holes etc. 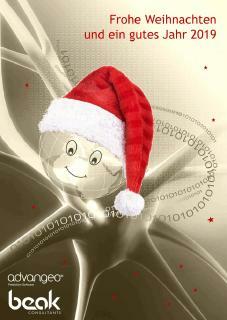 All Beak software products can be customized to the software environment of our Clients. Recently, together with the Australian Teutonics Exploration Pty. 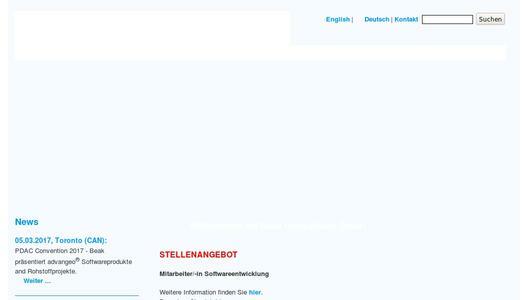 Ltd, Beak has launched the Sosa Sn-Li exploration project in the German Erzgebirge. 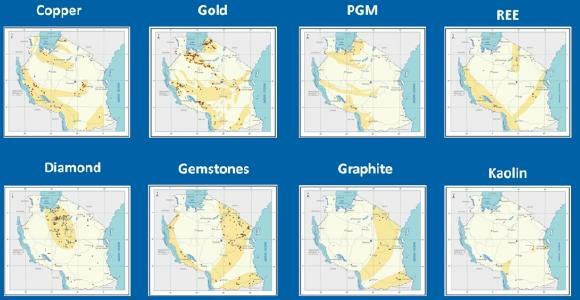 The Sosa license covers the biggest Sn and Li anomaly in the region including historical mining. In individual projects, we provide our technical expertise to various public and private clients. 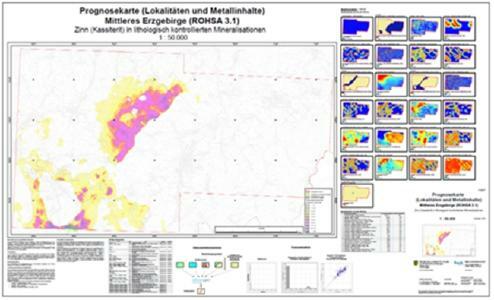 Recent projects cover the evaluation of manganese nodule resources in the German license areas in the Pacific (Client: German Federal Institute for Geosciences and Natural Resources), and the mineral potential evaluation of Sn, W, Fluorite and Barite in the Central Ore Mountains, Germany (Saxon Mineral Research Program ROHSA, Client: Saxon State Office for Environment, Agriculture and Geology). 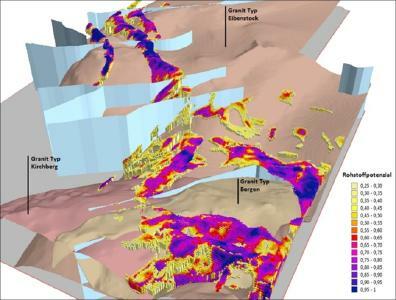 In the latter, advangeo® Prediction Software was used in a 3D environment to estimate Sn, W resources in hidden structures, depending on granite intrusion shapes and carbonate rock features in surrounding metamorphics. At the German Day at PDAC, on 7th March, at 10:15 a.m., Mr Andreas Knobloch will present our products and projects in a presentation: "Information Systems and Mineral Potential Maps - Requirements for Exploration Targeting and Investment Attraction". The event, which is organized by DERA and AHK, takes place in the North Building of the MTCC in room 206B. We look forward to meet you there!